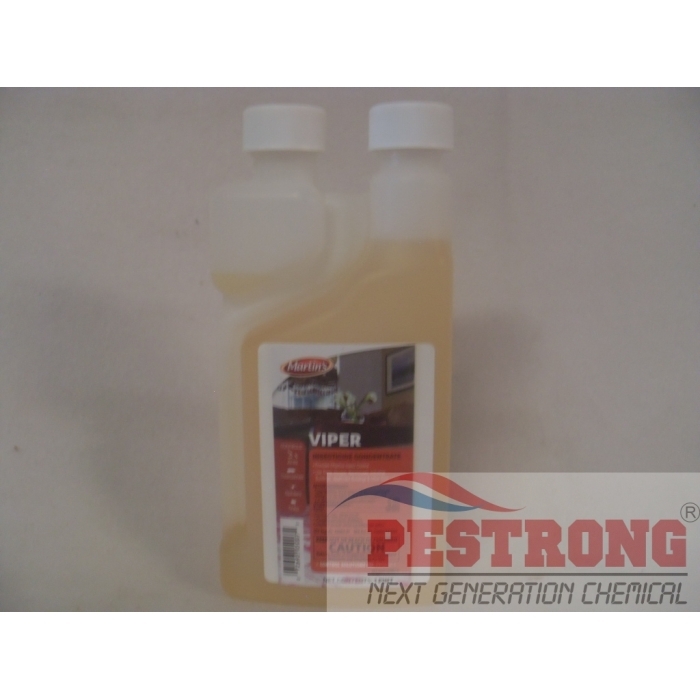 Where to Buy Martins Viper Insecticide Concentrate, Martins Viper Cypermethrin Cyper TC - 1 - 4 - 16 Oz - $9.55 for Sale with Fast Free Shipping! 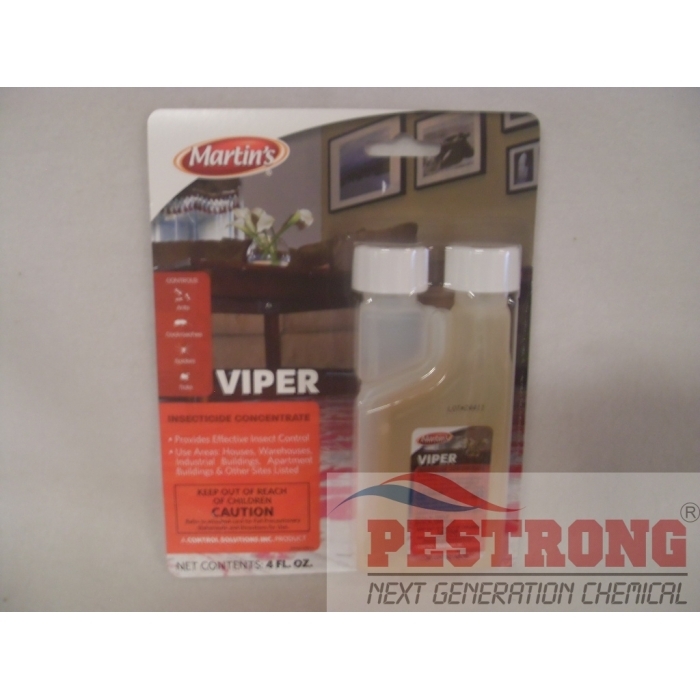 Martins Viper Cypermethrin Cyper TC - 1 - 4 - 16 Oz is labeled for a wide variety crawling and flying insects, also other other wood destroying insects. If you need big size, use Cyper TC or Demon Max. 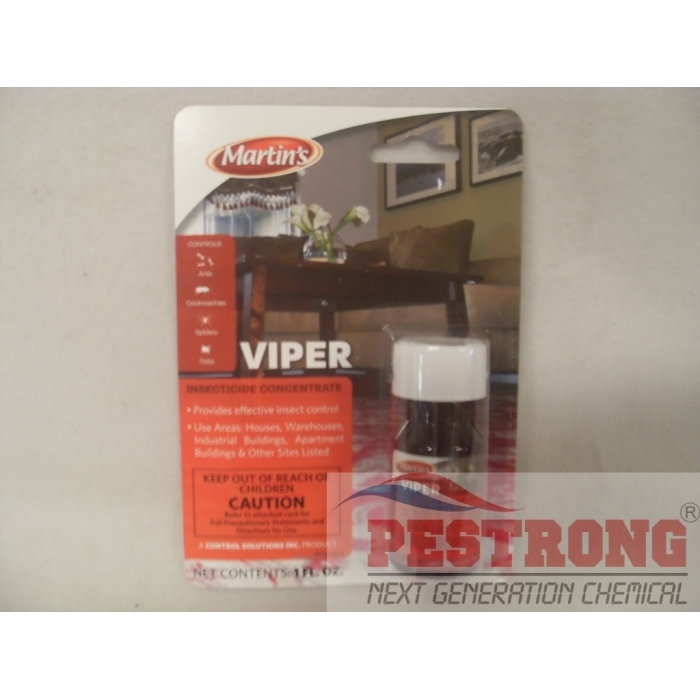 Martin's Viper Cypermethrin is a very effective product against a wide range of insects. I have used it for over 10 years in property management, and in and around my own home. The concentrate can be used in a spray bottle or pump or hose sprayer. It is a residual, so I notice the effects for weeks. When sprayed, it initially has a strong smell for an hour or two, but after that, it does not smell at all. It can be used anywhere, even food areas, as long as it is wiped down before food preparation. Pestrong delivered the product quickly and in proper packaging at an incredible price. 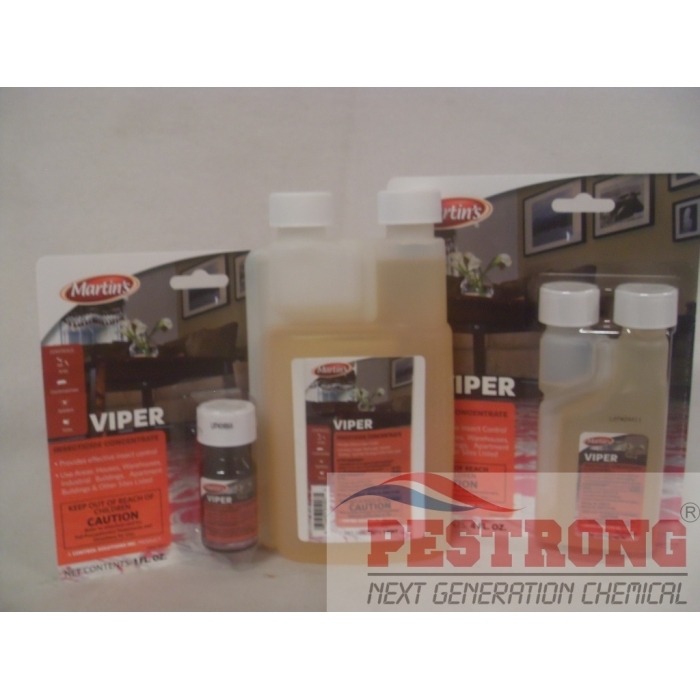 I highly recommend this product for insects I have treated for, such as spiders, all types of ants, cockroaches, ladybugs, boxelder bugs, earwigs, centipedes, etc. etc.